FRAMINGHAM, Mass., August 8, 2018 – International Data Corporation (IDC) has published two new reports on the fast-growing Software-Defined Wide Area Network (SD-WAN) infrastructure market. This rapidly evolving segment of the networking market will grow at a 40.4% compound annual growth rate from 2017 to 2022 to reach $4.5 billion, according to IDC's latest SD-WAN Infrastructure Forecast. The IDC Market Share report, IDC's first for this segment, includes 2016 and 2017 revenues by vendor for SD-WAN infrastructure. "The emergence of SD-WAN technology has been one of the fastest industry transformations we have seen in years. Organizations of all sizes are modernizing their Wide Area Networks to provide improved user experience for a range of cloud-enabled applications," said Rohit Mehra, vice president, Network Infrastructure, IDC. "Incumbent networking vendors have quickly realigned their routing and WAN optimization portfolios to take on the growing cadre of startups in this market. Enabled by a rapid uptake across the service provider domain, SD-WAN infrastructure will continue to grow rapidly in the coming years, providing a beachhead for other software-defined networking and security functions in the enterprise branch." SD-WAN infrastructure revenues increased 83.3% in 2017 to reach $833 million. The market has also become increasingly competitive, with traditional networking vendors looking to M&A strategies to complement their existing offerings or gain a foothold in this rapidly-expanding market. IDC found that Cisco holds the largest share of the SD-WAN infrastructure market, fueled by its extensive routing portfolio that is used in SD-WAN deployments, as well as its Meraki offering and its August 2017 acquisition of Viptela. VMware, which in December 2017 purchased VeloCloud, holds the second largest market share in the SD-WAN infrastructure market, followed by Silver Peak, Riverbed, Aryaka, Nokia and Versa. IDC's Market Share and Market Forecast reports focus specifically on the SD-WAN infrastructure market, which includes both hardware and software used in SD-WAN deployments. IDC defines SD-WAN as an architecture that leverages a hybrid WAN using at least two or more connection types (such as MPLS, broadband internet, 3G/4G, etc.). SD-WANs include a centralized application-based policy controller that provides intelligent path selection, along with an optional forwarder for routing capability. 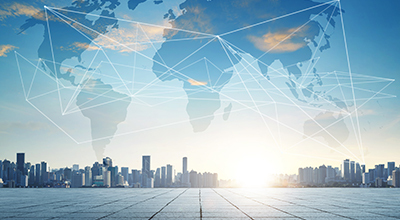 The SD-WAN infrastructure Market Share and Forecast reports do not include Comms SP-provided (or other) managed services related to SD-WAN provisioning or operations, nor do they include connectivity costs. IDC's Worldwide SD-WAN Infrastructure Forecast, 2018–2022 (IDC #US44182618) provides an outlook for this market across major regions for the period extending to 2022, including historical numbers through 2017 and forecast numbers from 2018 to 2022. It also provides regional geographic segmentation of the SD-WAN infrastructure market, including market sizes and CAGRs for each major region (North America, EMEA, APJ, and Latin America). The IDC study, Worldwide 2017 SD-WAN Infrastructure Market Shares: Incumbent Networking Vendors and Startups Compete in Fast-Growing Market (IDC #US44182518) provides a view of worldwide SD-WAN infrastructure market shares by vendor. The report covers significant market developments in 2017 and offers an overview of how the leading vendors performed during the year. Viptela, Inc., Aryaka Networks Inc., VMware, Inc., Versa Networks, Inc., Cisco Systems, Inc., Meraki, Inc., Nokia Corporation, Silver Peak Systems, Inc. , VeloCloud Networks, Inc.